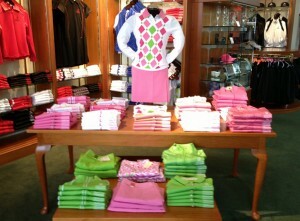 Here at St Andrews Links Golf Shops, we have already started preparing ourselves for the 2014 Spring-Summer season. 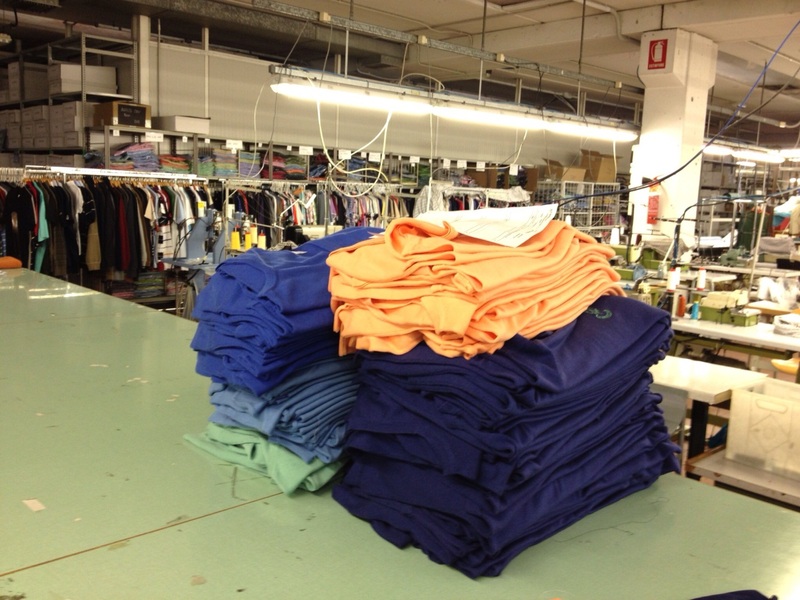 At the beginning of March we visited the designers and manufacturers of our own label clothing in Clusone, Milan. New Marbas are leaders in the production of knitted fabrics in mercerised cotton and they create bespoke collections for us that are exclusive, and only available to buy at St Andrews Links through our five golf shops or online. Together with the design team at New Marbas Italy, we develop colour stories on previous best selling styles and any new popular patterns. The colours of the collections are also based on previous success, but also taking into account the latest top fashion colours. 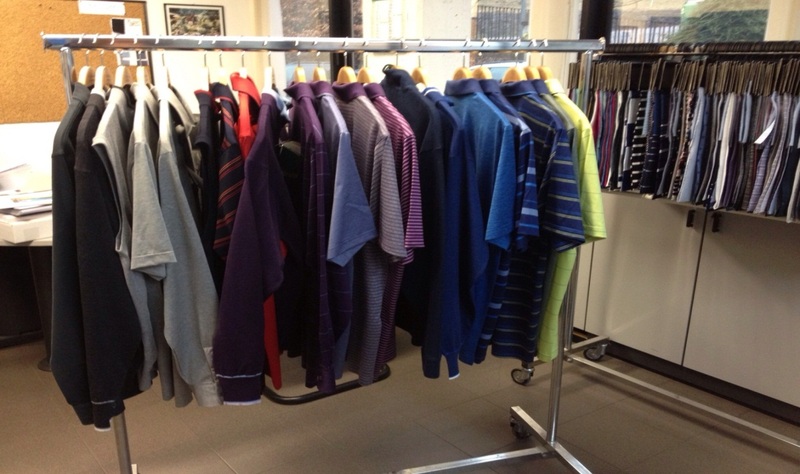 New Marbas will then set to work on designing and manufacturing the collection for next season. 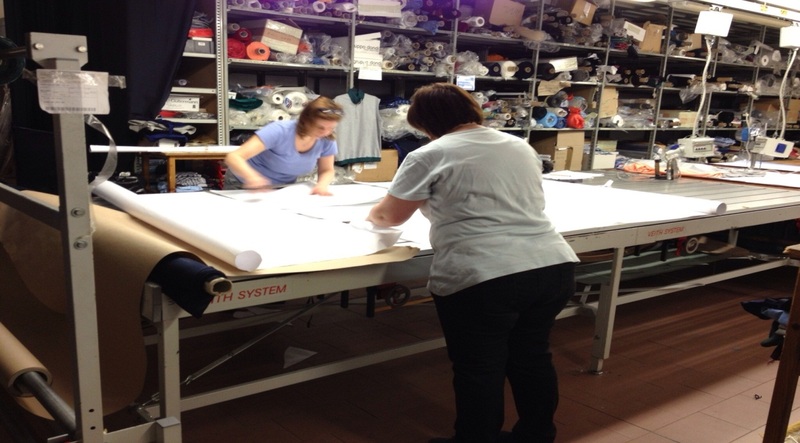 It was awe-inspiring to see the set up that New Marbas have in terms of garment design and manufacture, and our time there was more than productive. 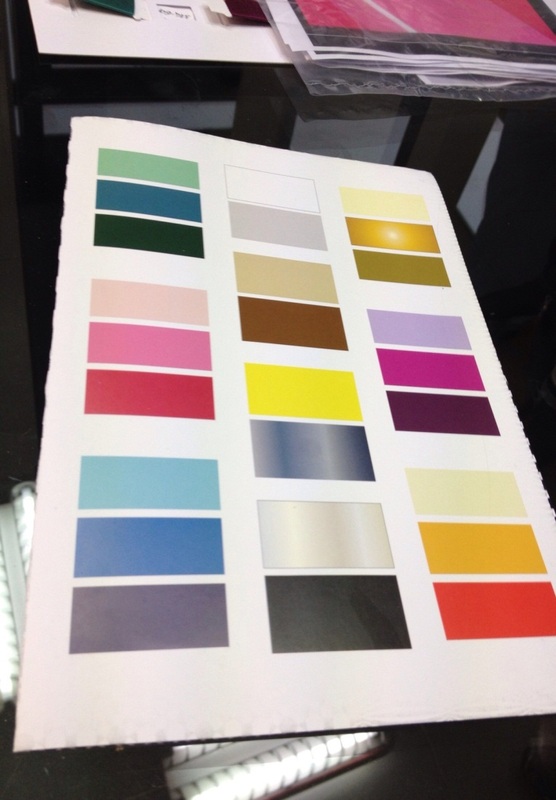 We looked at choices for Fall 2013 as well as the fashion colour predictions for Spring Summer 2014. 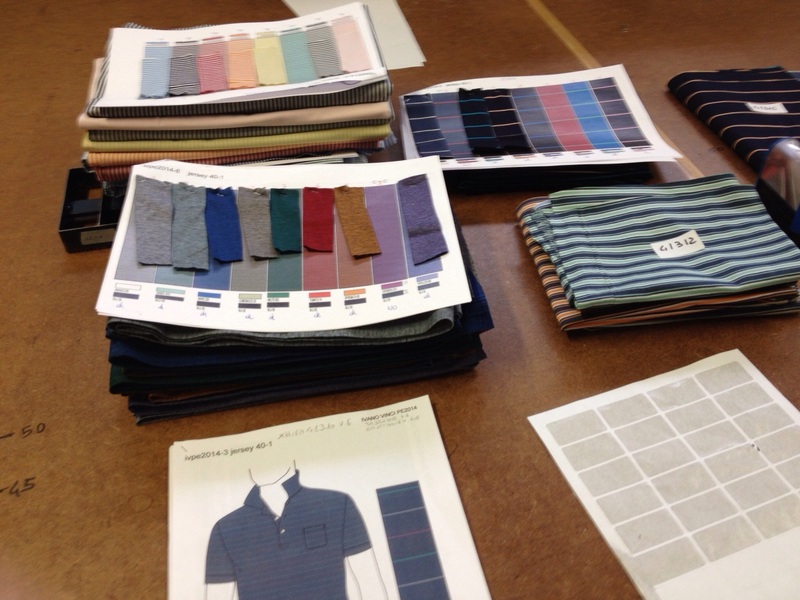 I can tell you a little something about what to expect for next year…the collections are going to be colourful! 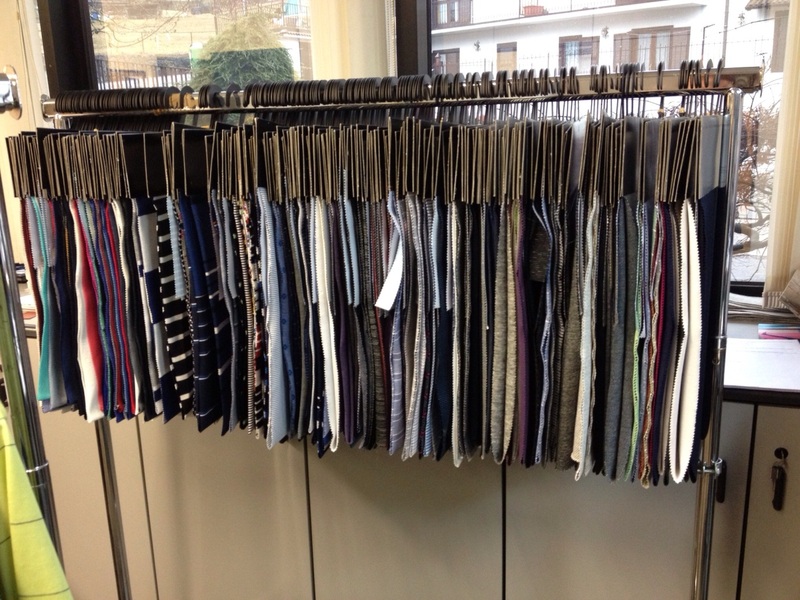 This is what is looks like when New Marbas put a collection together based on colour and fabric choices for a company (such as ourselves). Every detail is put together into one comprehensive package for review. Material pattern swatches that a customer can choose from. There are hundreds more where this came from! Once the colour stories and garment styles are selected, we have to look at the colour of logo that New Marbas will embroider on to the piece. This is very important as its the essence of the garment; it can make certain colours pop, and is what makes the item individual. And of course, once you take your garment home and wear it out and about (on and off the course) it’s the logo that catches peoples eye so we need to make sure that it is perfect in every way. New Marbas have the latest in high precision technology and machinery which allows them to create garments of the highest quality and finish. 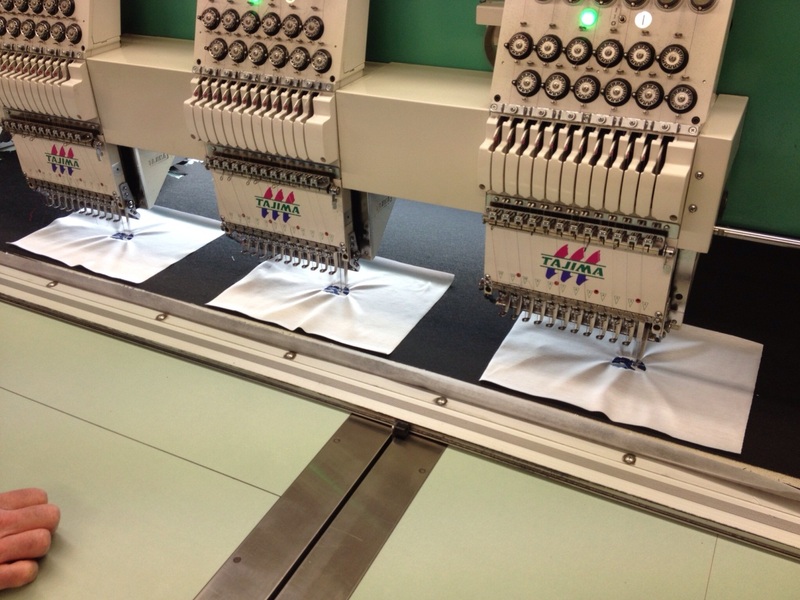 This embroidery machine has the capability to embroider up to twelve garments at any one time. Logos can take as little as 5 minutes to complete. It was amazing to see. The New Marbas team in the process of cutting the patterns for our Men’s all-over tartan polo shirts – one of our biggest best sellers. These ladies work so fast, with such precision! It is great to work with a supplier like New Marbas because they allow us to create completely one-off collections for our customers and it is such a seamless process. 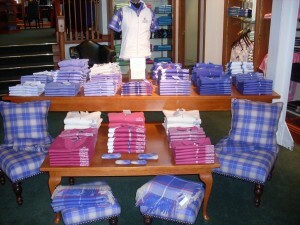 So next time you are in our shops looking at the St Andrews Links, Old Course or Home of Golf collections, you will know that you are looking at something completely unique to St Andrews and the work that goes in to developing this collection. We are already starting to think ahead to 2015, which will see the Open Championship return to the famous Old Course…watch this space!